SPRINGFIELD, June 2, 2012 – Put the supporters of 114 dreams and goals in a room and you’ll get a pretty big crowd. 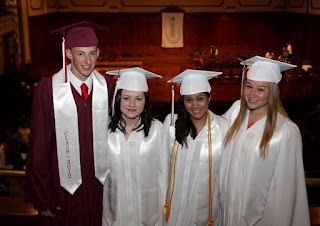 Such was the case at the 12th graduation ceremony on Saturday for SABIS International Charter School at Symphony Hall. The milestone filled most of the seats at the venue, as the school yielded 114 new graduates. School Director Karen Reuter noted that the majority of this class had joined the SABIS rolls early. Since its founding in 1995, the college preparatory charter school on Joan Street has become one of the most sought-after high school alma maters in the city, with a waiting list thousands of students long. 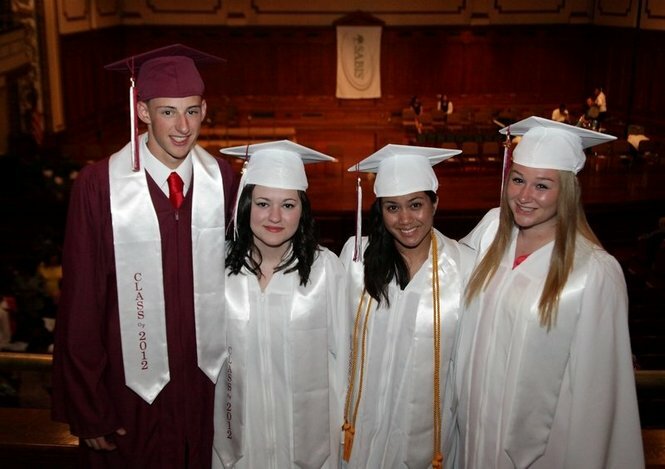 SABIS does not choose valedictorians or salutatorians; its line-up of speakers included onetime SABIS volleyball star Chelsea Orefice, who noted the hall included 114 reasons to be optimistic, clad in white and crimson robes and mortarboards. Reuter said that the hall was filled not only with proposed graduates but those who nudged and nurtured them along the way. 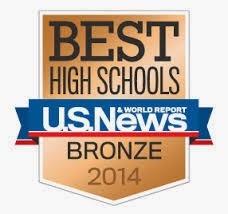 “A high school diploma is nothing to take for granted,” she said. On a soaker of a day that drove the weekend’s spate of graduation ceremonies and parties indoors, Mayor Domenic J. Sarno reminded the crowd that the city had endured its share of weather disasters this year, and commended the class for its part in establishing a tradition in Springfield in the school’s relatively short tenure. Sarno said the school is an example of not letting “a zip code dictate your future.” “Don’t let anyone, and I mean anyone, tell you that you can’t achieve your goals. Use that as adrenaline to prove them wrong,” he said.